The past few weeks have been INSANELY crazy. I started my 2nd and last placement at the end of February. I thought that since I had already done one placement, the next one would be a piece of cake. Boy, was I wrong! Getting used to another set of kids is a big challenge, and I’m sure getting used to me is a big challenge for them too! Because of the distance of my placement from my home, it takes me awhile to get there and then back home, especially because of traffic. So the past few nights I’ve come home and passed out right after dinner. I haven’t had much time to do anything else lately; other than eating and sleeping, my life has pretty much become a back-and-forth from school to home and a whirlwind of marking, lesson plans, and chalky hands. The life of a to-be teacher! With such a busy schedule, I’ve been craving some homey, classic recipes. I actually made these cookies before my placement began, but I’ve been dreaming of them ever since! I’ve loved peanut butter since I was a kid. Growing up, a peanut butter sandwich (no jam for me!) was my staple lunch for 3 years straight. Even now I can eat peanut butter in any form, and especially by itself, on a spoon. 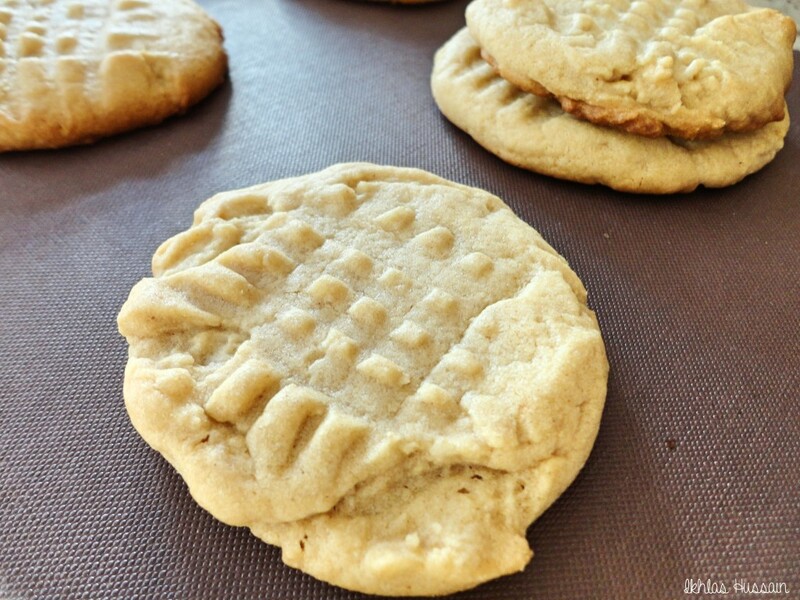 In my opinion, nothing beats a classic, crunchy-sided, warm-centered peanut butter cookie. 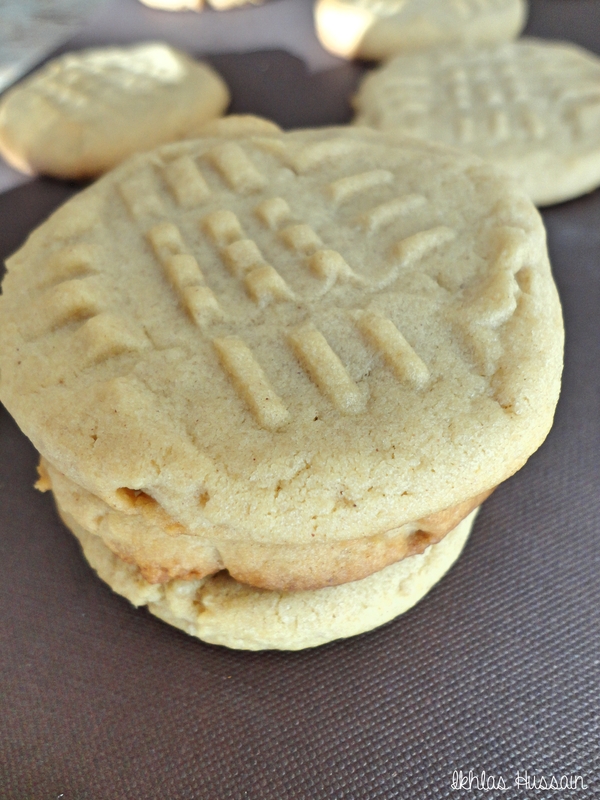 Crispy on the outside, with a soft, buttery centre that melts in your mouth, these peanut butter cookies are filled with peanut butter flavour. Best eaten warm out of the oven, these Classic Peanut Butter Cookies will bring you right back to your childhood! Then add the baking soda and flour until just combined. 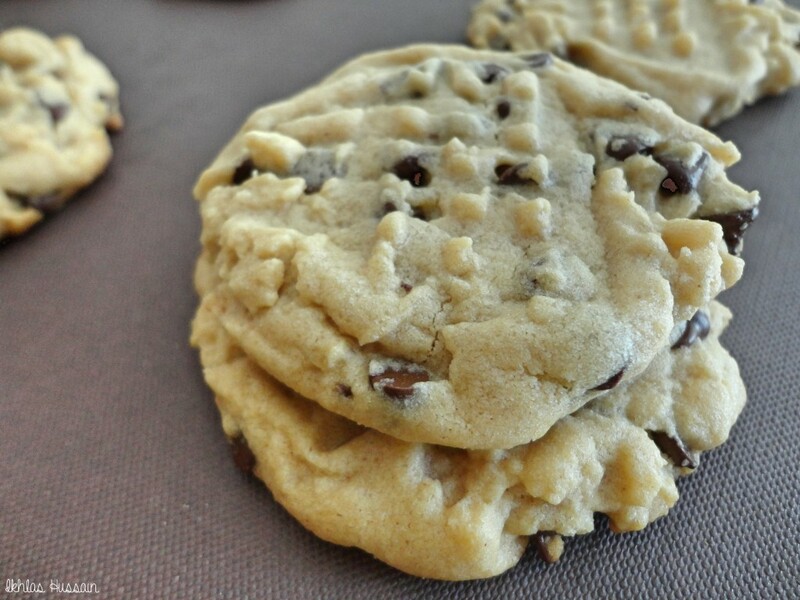 Fold into the chocolate chips and refrigerate for 30 minutes. This recipe is another attempt to clean out my blog of old recipes and bring you fresh new pictures and cleaner recipes! I originally posted this recipe about a year and a half ago with one (1!!) lousy picture of the cookies. 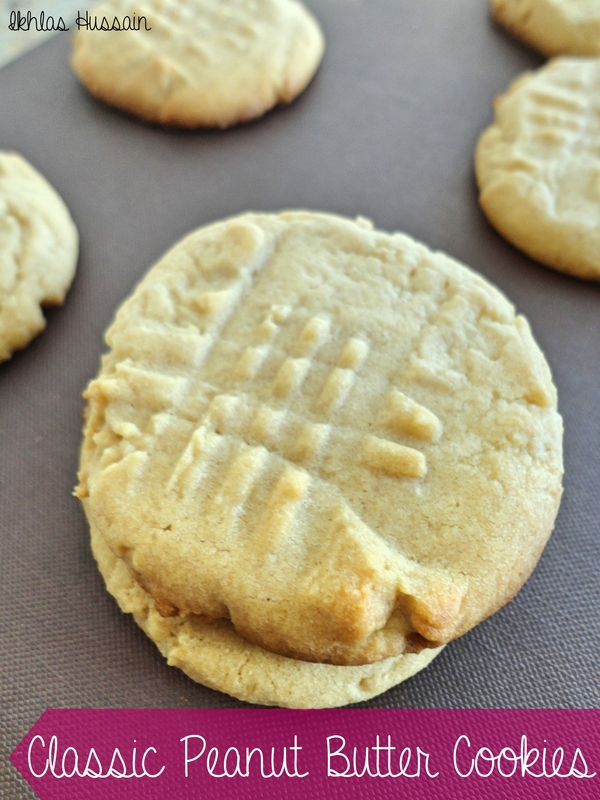 It’s one of my all-time favourite peanut butter cookie recipes, and I couldn’t leave the recipe the way it was. I was in the mood for some chocolate and so I added some mini chocolate chips to my peanut butter dough right at the end. Have I mentioned how much I love mini chocolate chips? I only recently discovered them; they’re so small and give you a much higher chocolate to dough ratio! Combined with the buttery dough, the little bursts of melted chocolate were a welcome surprise. What I love about this recipe is that it’s simple. It doesn’t take a whole bunch of complicated ingredients nor does it take long to assemble. As long as you have some patience for the refrigerating of the dough, you’re good to go! With their criss-cross patterns, these cookies bake up puffy and thick and look exactly like the cookies I loved when I was a kid. So if you’re a PB lover like me and are looking for a simple and easy recipe, look no further than these Classic Peanut Butter Cookies! 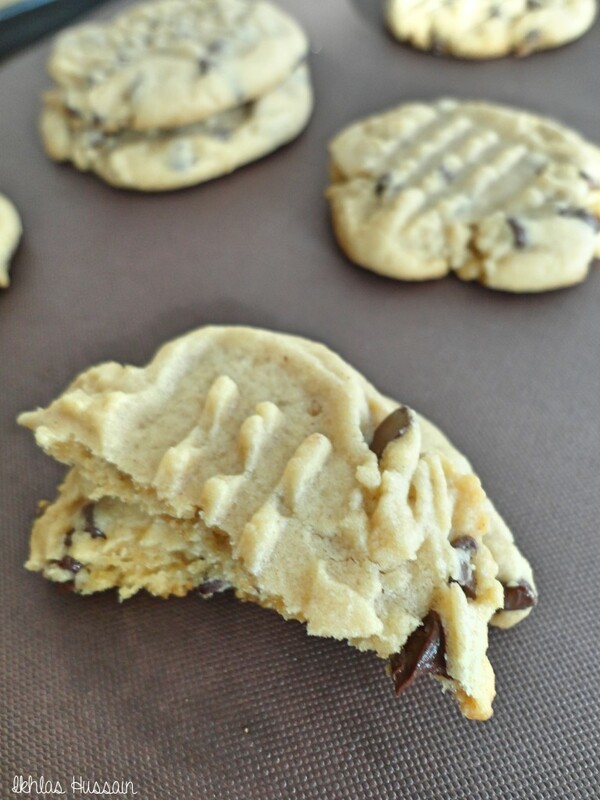 This entry was posted in Cookies, Recipes and tagged cookies, peanut butter, sweet. There’s no peanut butter in the ingredient list – how much is there supposed to be? Sorry about that, Rukayya! I’ve amended the recipe now; it calls for 3/4 cup of peanut butter.